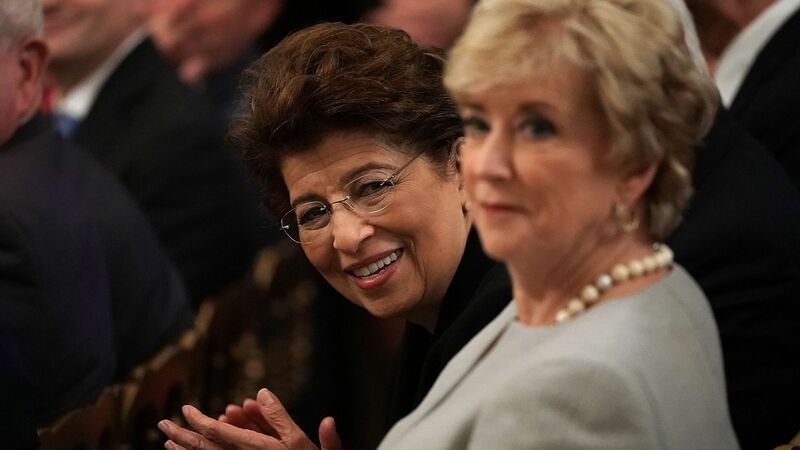 President Trump said Thursday night that he will nominate U.S. Treasurer Jovita Carranza to replace outgoing leader Linda McMahon as the head of the Small Business Administration. Details: McMahon is stepping down from her role and enter the private sector. "Jovita was a great Treasurer of the United States – and I look forward to her joining my Cabinet!"